Percy, Annabeth, Thalia, Nico, Rachel. . Wallpaper and background images in the the heroes of olympus club tagged: annabeth percy jackson heroes rachel thalia nico. Camp Half-blood atau Camp Jupiter?? Jason and Reyna - I cinta drawing them! 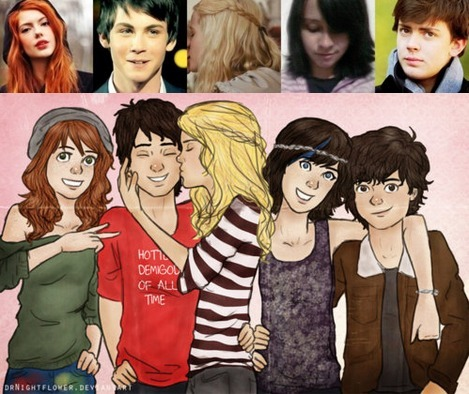 Haha u know that girlnyou put as annabeth is kissing the guys who lays Percy on the other side right? lol, hottest demigod of all time? Thalia and Nico are smiling. they really are. i love who is for nico. i love Skandar Keyne. NICO NICO NICO!!! OMG! he's...happy!